Seems like the internet just couldn't wait for that 'Avengers: Age of Ultron' trailer to premiere. Just last night, Marvel announced that the trailer would debut following next week's new episode of 'Agents of S.H.I.E.L.D.,' and tonight a pirated version found its way online. Marvel reacted quickly by posting the real deal and revealing a new teaser poster. With footage we mostly saw at Comic-Con back in July, the first official trailer for 'Avengers: Age of Ultron' features a voiceover from James Spader as the villainous and terrifying Ultron, promising to make everyone scream for mercy, while taunting the Avengers for being puppets. The action transitions as the classic "I've Got No Strings" song from Pinnochio plays, repurposed here to be totally creepy. And things look like they're going to get pretty rough and tumble for the Avengers team as they face an even deadlier threat than the previous film -- when the trailer ends, the team is pretty much annihilated, and Captain America's shield is shattered. That cannot be good. In addition to Marvel blaming Hydra for the earlier leak of the bootleg trailer (tsk, tsk), they've also released this new teaser poster, featuring some very robotic styling. 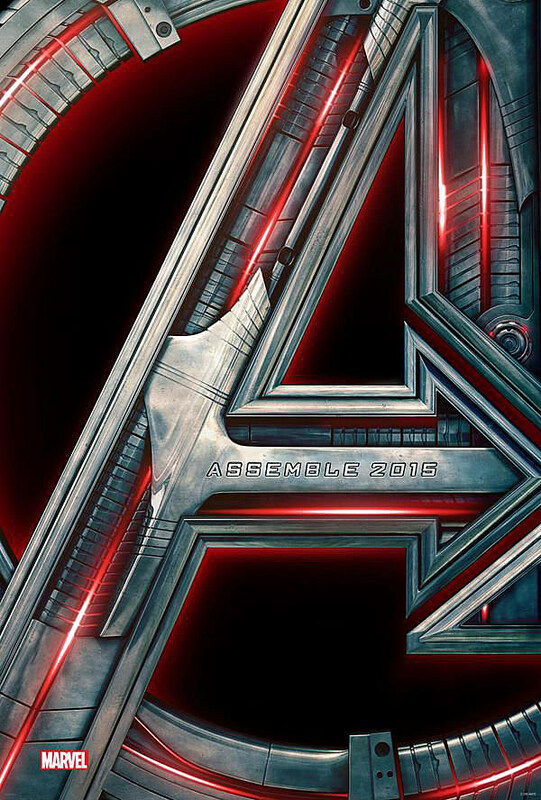 'Avengers: Age of Ultron' hits theaters on May 1, 2015.